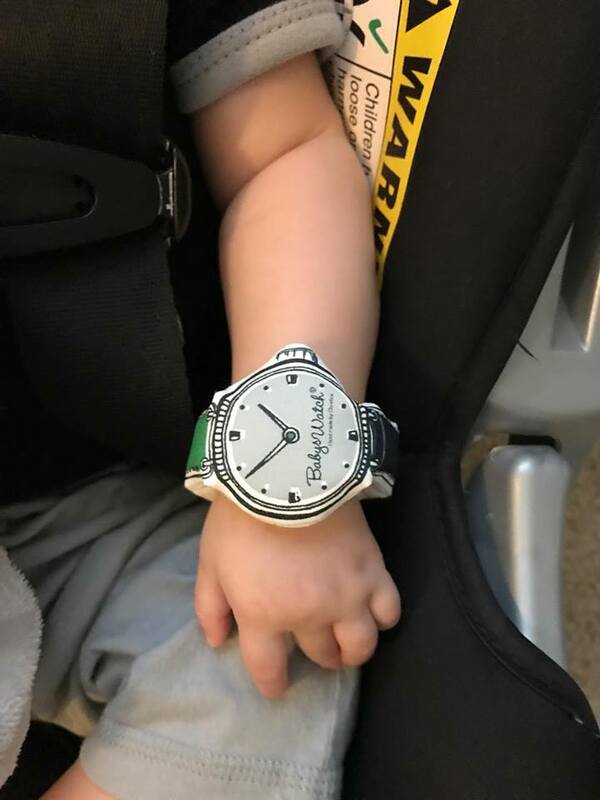 We received the Boston Polo Babyswatch Bracelet recently from Babywatch Website for review. The Babyswatch is a cotton bracelet that has been designed to look like a wrist watch for children 0-6. One size fits all. Children learn the concept of time wearing this bracelet. This helps them use their imagination and their memory. Toys help children learn, and the babyswatch is a cute little bracelet designed to help nurture and stimulate your baby's brain during critical periods of development. I like to buy toys for my grandchildren that not only give them hours of play time but also have teaching value. This is what I like about the Babyswatch. I think the concept of time is a little harder to teach children but exposing them to toys that teach this from practically birth and beyond could help tremendously. The Babyswatch bracelets are handmade and 100% chemical free and organic. The cotton fabric is ultra soft, breathable and is nonirritating against a baby's skin. This bracelet is very safe for your baby. It is BPA free, phthalate free, latex free, and lead free. These little bracelets are super stylish. made for boys and girls. The graphics are printed in high definition resolution with a non toxic dye that does not rinse or rub off. They are easily washable by hand and air dried. 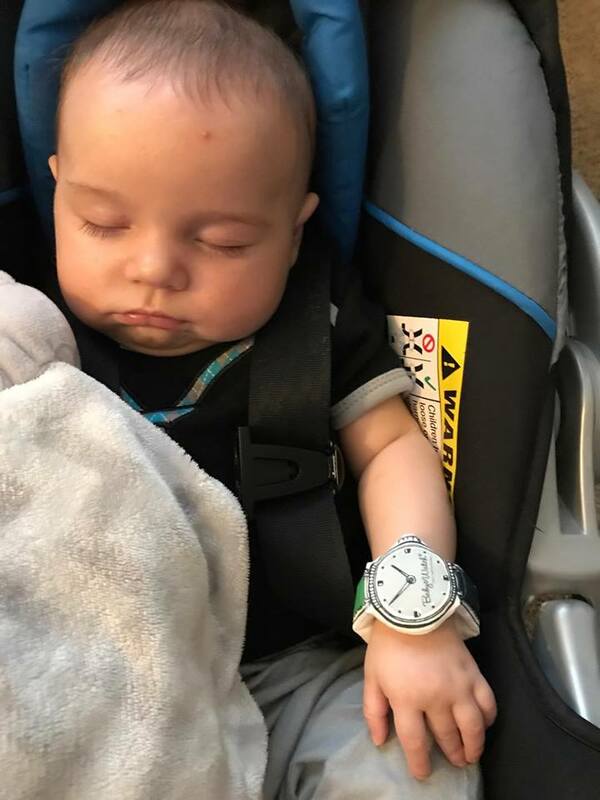 My grandson, still a baby wears his bracelet. He loves to hold it up in front of his face and look it. It is very soft on his skin, and has caused no skin problems. I think it is adorable and a great idea. Each one of the Babyswatch bracelets are individually handcrafted to be unique. The bracelets are Certified compliant with children's product safety requirements in a Children's Product Certificate (CPC) based on test results from a Consumer Product Safety Commission (CPSC) accepted laboratory. What an adorable idea! I wonder if it will help children with "time"--it would be great if it does. I kind of wonder if most kids actually can read a watch--everything seems to be digital these days. 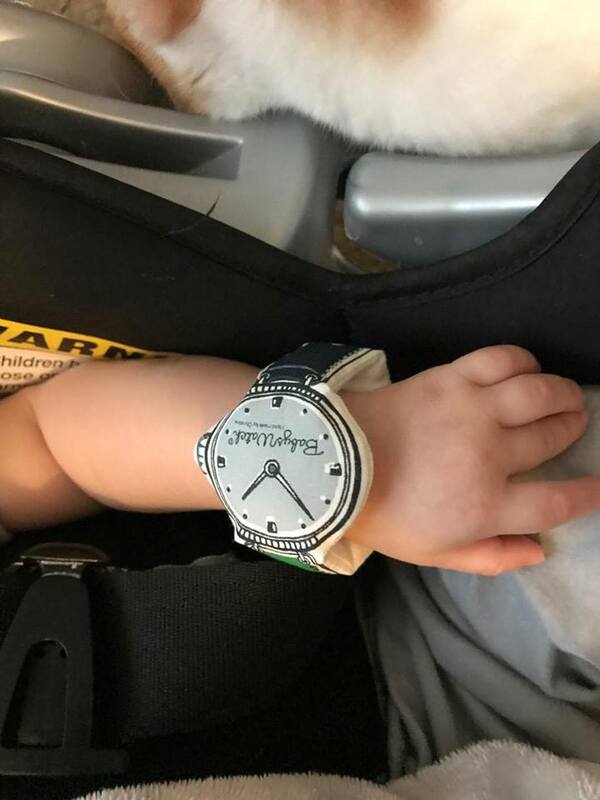 Very cute little man watch. I'll bet your enjoying spending time with the little one.